22-year-old mad woman, simply identified as Hassana on Sunday, gave birth to a healthy baby boy at popular Chechenia, Central market Kaduna. 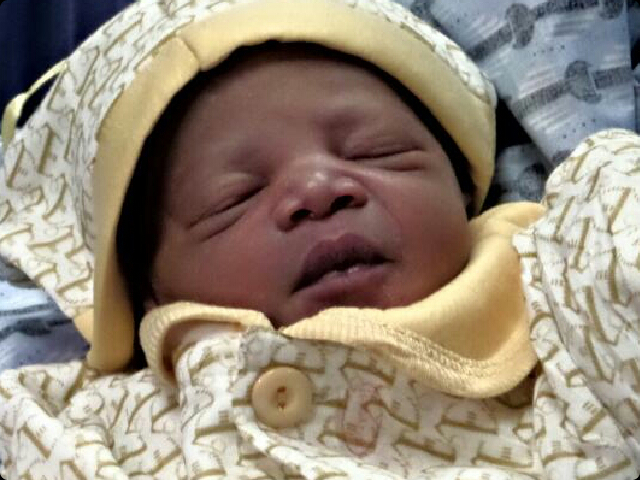 Mother and baby are doing fine and the baby has been named Abdullahi. Eye witness accounts revealed that Hassana gave birth in an open place at about 01:00 hour while some women formed a circle surround her but without any delivery assistant while her travail lasted. It took the intervention of a woman who came to the market and observed that the insane young woman was bleeding and then raised alarm that attracted three police officers and journalists who eventually rushed her in tricycle to Yusuf Dansoho Hospital, Tudun wada for medical assistance. On hearing this, Senator representing Kaduna Central, Shehu Sani, visited the hospital speedily and volunteered to take care of the hospital bill and other necessary support that will ensure that the woman and her baby are in good condition. Assistance provided by the Senator include roll of baby diapers, olive oil, baby clothes, underwear, milk and paid all the hospital charges on behalf of the woman. Additional information gathered by GoBroadsheet further revealed that young Hassana has been neglected by the society for years. A source reveal that she has been moving from one place to another in kaduna metropolis in search of food and shelter where she was eventually impregnated by unknown man. Some of the women who also witnessed the seen at the central market, who seem to have known her for quite a long time, hinted that she is 22-year-old. Effort to speak with Kaduna Police Command Spokesperson, DSP Zubair Abubakar to know what is going to become of the mad woman’s baby could not be established as his mobile phone was switched off as at the time of filling this report.